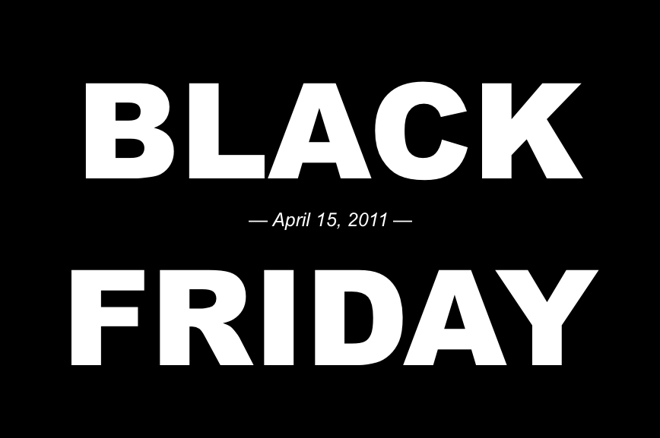 On April 15, 2011, poker was rocked by Black Friday, the day that forever changed online poker. This Friday marks the fifth anniversary of the most memorable Friday in many poker players' memories — Black Friday, or the day everything changed as far as online poker in the United States is concerned. On that day — April 15, 2011 — the U.S. Department of Justice unsealed a 52-page indictment against top executives of PokerStars, Full Tilt Poker, and Absolute Poker, as well as a civil complaint against those companies. Those named in the indictment faced years in prison while the civil complaint sought $3 billion in assets from the sites. PokerStars and Full Tilt Poker immediately stopped serving U.S. players, with Absolute Poker and its sister site UltimateBet (of the Cereus Network) following suit afterwards. Here's a look back to what things were like before Black Friday as well as some of what has happened over the last five years as a result of the events of that day. The story of Black Friday is long and complicated, stretching back in part to the Unlawful Internet Gambling Enforcement Act that was signed into law by then President George W. Bush in October 2006. While not specifically prohibiting American players from playing online poker, the UIGEA did outlaw businesses from transferring funds to and from gambling sites. Final regulations weren’t formulated until November 2008 and didn't go into effect until Jan. 19, 2009 (the last full day of of Bush's presidency). Compliance wasn't required until December 2009, however, with another bill later introduced that would delay the requirement to begin complying to June 1, 2010. While some sites responded to the passage of the UIGEA by pulling out of the U.S., others continued to allow Americans to deposit, withdraw, and play, with PokerStars, Full Tilt Poker, Absolute Poker, and UltimateBet the most popular among U.S. players. When Black Friday dawned, the poker world continued along as normal. According to the tracking site PokerScout, PokerStars and Full Tilt Poker continued their status as the top two sites in terms of traffic by a healthy margin, with partypoker and the iPoker Network battling back and forth as the next two in line and the Cereus Network hovering inside the top 10. The PokerStars-sponsored North American Poker Tour Mohegan Sun festival had just concluded a couple of days earlier, and the poker world was still buzzing about Vanessa Selbst and Jason Mercier each pulling off back-to-back victories in Uncasville, with Selbst repeating as NAPT Mohegan Sun Main Event winner and Mercier winning the High Roller Bounty Shootout there as he had done the previous year. Meanwhile the NAPT — then moving through its Season 2 — was planning ahead for more U.S. stops. Speaking of planning ahead, online poker bills were a hot topic with many states considering such legislation and there having been a lot of focus on a possible federal bill during the lame duck session that closed 2010. Alliances had begun to be appear between the big sites and brick-and-mortar groups, including one between Fertitta Interactive (owners of Station Casinos) and Full Tilt Poker and another recently publicized one between Wynn Resorts and PokerStars. Such "joint ventures" were contigent on future, favorable legislation in the U.S. regarding online poker, and had everyone starting to wonder what might happen next. The poker world was further occupied by the second installment of the "durrrr" Challenge between Tom Dwan and Daniel "Jungleman" Cates, which had been intermittently providing excitement over the previous seven-plus months. Just a few months before at the end of 2010, Annie Duke and Phil Hellmuth had ended long tenures as UltimateBet-sponsored pros. The remaining representatives of Cereus Network sites were fending off ongoing questions about earlier scandals, with Joe Sebok and Prahlad Friedman — who surprisingly signed on as a UltimateBet sponsored pro in January 2011 after having been cheated on the site before — doing what they could to convince players to deposit on the new "UB." Televised poker shows like High Stakes Poker and Poker After Dark had never been more popular. With that season of High Stakes Poker sponsored by PokerStars and Poker After Dark continuing to be sponsored by Full Tilt Poker, tensions rose regarding a site's sponsored pros being allowed to appear on the other site’s show, an issue that seemed at the time like a problem that mattered a lot to players and viewers alike. Priorities were about to change in a big way. It was early afternoon on the East Coast and not quite lunch time out West when the first reports of the indictment and civil complaint began to circulate. 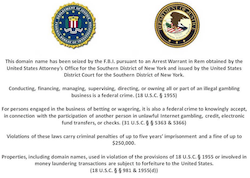 Not only were the sites charged with violating the UIGEA, but additional charges of bank fraud, money laundering, and illegal gambling helped clarify the gravity of the situation, as did restraining orders against 75 bank accounts used by the sites and the seizure of five related domain names. That morning two of the 11 defendents named in the indictment — John Campos (part-owner of an involved bank) and Chad Elie (payment processor) — were arrested, with another, Bradley Franzen (also a payment processor), having indicated an intention to turn himself in early the following week. The other eight defendants — Isai Scheinberg (PokerStars founder), Ray Bitar (CEO of Tiltware), Scott Tom (part-owner of Absolute Poker), Brent Beckley (payments director at AP), Nelson Burtnick (payments director at Tiltware), Paul Tate (payments director at PokerStars), Ryan Lang (payment processor), and Ira Rubin (payment processor) — were all outside the U.S.
Players visiting the sites' dot-coms were greeted with ominous-looking seizure notices appearing under the FBI and DOJ seals. By mid-afternoon PokerStars had blocked U.S. players from real-money games, with Full Tilt Poker doing so a few hours later. Soon after that a spokesperson from Feritta announced its partnership with Full Tilt Poker had already expired, while the Associated Press reported Wynn Resorts had likewise ended its alliance with PokerStars. That evening both PokerStars and Full Tilt Poker issued statements explaining that while U.S. players were shut out, it was business as usual for those playing from other countries. "Please be assured player balances are safe," added PokerStars in its statement. By contrast, Absolute Poker and UB both remained silent on the matter, with U.S. players in fact able to continue to play on their sites. April 16, 2011: Anybody Remember the Onyx Cup? 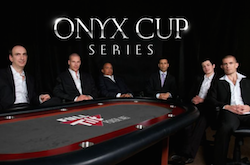 The next day, Full Tilt Poker announced the cancellation of the Onyx Cup, a six-event series of high-stakes tournaments with buy-ins ranging from $100,000 to $300,000 that had just been introduced a month before. ESPN jettisoned all poker-related ads from its site, and soon would announce it had cancelled all of its planned-for coverage of NAPT events, with PokerStars likewise announcing the cancellation of the tour. On the following Monday, Franzen surrended to authorities in New York and was released on bail, with Elie and Campos likewise released following initial court appearances. On that day it was also confirmed that the PokerStars.net Million Dollar Challenge and PokerStars.net Big Game had both been cancelled. PokerStars and Full Tilt Poker both regained their dot-com domain names after striking deals with the United States Attorney's Office for the Southern District of New York, a development that encouraged U.S. players regarding the withdrawal of their funds from the sites. In a press release, the U.S. Attorney's Office added how the "Government stands to enter the same agreement with Absolute Poker if it so chooses." Both Absolute and UB continued to operate on new dot-eu domains. Absolute Poker finally issued its first statement regarding the indictment and civil complaint, noting how it would be consulting with its lawyers before entering into any agreements with the U.S. government, and adding that "Absolute Poker's top priority is, and must be, the refund of balances to its and UB's U.S. players." While the Poker Players Alliance issued a statement hopeful that Congress would be inspired by the developments of Black Friday to act positively toward online poker legislation going forward, defendant Ira Rubin was arrested in Guatemala. Just a week-and-a-half after Black Friday, U.S. players were able to begin the process of withdrawing their balances from PokerStars. 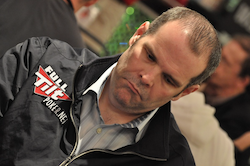 A couple of days later "FTPDoug", a Full Tilt Poker representative, began a thread on Two Plus Two to answer player questions and report the site was "diligently working on return of U.S. Players funds which is a top priority." The first half of May saw Blanca Gaming of Antigua, parent company to Absolute Poker and UB, announcing its intention to file for bankruptcy. Not long after that, 11 U.S.-based sponsored pros were laid off by the two sites, including Sebok and Friedman. Then on May 10, 2011, the two Cereus sites did finally reach an agreement with the DOJ to "provide all necessary assurances that third parties may work with Absolute Poker to facilitate the return of funds, currently held by third-party processors, to players located in the U.S."
Over on Two Plus Two, "FTPDoug" continued to promise the "orderly return of U.S. player funds." On May 21, 2011 the final new episode of High Stakes Poker aired, with the announcement coming in December there would be no further shows produced. The next big development came on June 29, 201,1 when the Aldernay Gambling Control Commission (AGCC) suspended Full Tilt Poker's license to operate and the site suddenly shut down worldwide. The next day came reports of both a class-action lawsuit against Full Tilt Poker by players demanding their funds and a rumor of European group of investors looking to purchase the operator and help U.S. players recover their funds. The rest of the summer would be punctuated by continued stories of possible investors buying Full Tilt Poker and more explanations from the site's representatives about why players were unable to access their funds. 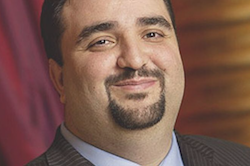 September 2011: A "Ponzi Scheme"
On Sept. 20, 2011, came the biggest Black Friday aftershock when the DOJ amended the Black Friday complaint to include allegations that Full Tilt Poker and its board members, including CEO Bitar (already named in the original indictment and complaint), Howard Lederer, Chris "Jesus" Ferguson, and Rafe Furst had defrauded players, and that Full Tilt Poker "was not a legitimate poker company, but a global Ponzi scheme." The amendment detailed how Full Tilt Poker owed approximately $390 million to players worldwide, including about $150 million to American players, while having only about $60 million on hand in its accounts. Over the next week-and-a-half, the AGCC would revoke Full Tilt Poker's license altogether, the DOJ released an additional statement regarding player funds and its intention to try to help facilitate "the return of forfeited funds to victims of the alleged fraud," and the site-sponsored Poker After Dark was cancelled. October 2011-March 2012: What's to Come of Full Tilt Poker? Over the following months, the Full Tilt Poker story would be dominated by an effort by the French investment firm Groupe Bernard Tapie to purchase the site once it forfeited its remaining assets to the U.S. government. A deal would in fact be signed, and Full Tilt Poker's remaining assets were turned over to the DOJ. Online poker's future in the U.S. appeared especially dim, but a flicker of hope appeared in December 2011 when the Nevada Gaming Commission approved regulations for intrastate online poker in the Silver State. Shortly after the one-year anniversary of Black Friday passed, the three-way negotiations between the DOJ, Full Tilt Poker, and Groupe Bernard Tapie at last fell through, with the French group citing "unresolvable" legal complications and a failure to agree on a player repayment plan as having nixed the deal. Rumors about possible negotiations involving PokerStars, Full Tilt Poker, and the DOJ had only started to surface when a settlement was announced on July 31, 2012, permitting PokerStars to acquire Full Tilt Poker's assets with PokerStars in turn forfeiting $547 million to the U.S. government. PokerStars also agreed to make available all outstanding balances to non-U.S. Full Tilt Poker players within three months, with a plan begun as well to repay U.S. players their FTP balances. As part of the deal, founder Isai Scheinberg agreed to step away from his role with PokerStars within 45 days. But Full Tilt Poker wasn't out of the woods just yet, as the DOJ would file a Second Amended Civil Complaint in September introducing new forfeiture charges against Lederer and Bitar. After a year-and-a-half of silence, Lederer would speak at length to PokerNews about what led to Black Friday and Full Tilt Poker's management thereafter in a seven-part series titled The Lederer Files. Lederer would settle his civil case in December. In late September 2012, PokerStars announced plans to reopen Full Tilt Poker, and on Nov. 6, 2012, the site was back online (for players outside the U.S., of course). At the time of PokerStars acquisition of Full Tilt Poker in the summer of 2012, a request for a settlement agreement between the DOJ and Absolute Poker/UB was initiated, and in August 2012 news arrived that the sites' remaining assets were being forfeited to the U.S. government. Alas for players on Absolute and UB, with the sites' parent company having already declared bankruptcy long before, there weren't any funds with which to repay them, and today — five years later — the funds remain lost. While PokerStars continued to thrive globally and Full Tilt 2.0 operated at a much more modest pace than in its previous incarnation, legal and regulated online poker finally returned to the United States more than two years after Black Friday. With many entities having obtained licenses in Nevada to start online poker sites, Ultimate Poker beat them all to the starting line by launching on April 30. Among those following their footsteps was WSOP.com who after going live in Nevada in September, would move ahead of Ultimate Poker traffic-wise just a couple of months later. Both New Jersey and Delaware would follow Nevada's lead to pass online gambling legislation. By the end of 2013, online gambling had only been up and running in New Jersey for just over a month — with Ultimate Poker and WSOP.com among the more than half-dozen sites — and over 125,000 accounts had already been created. By the end of February 2014 — nearly three years after Black Friday — the first cashouts of Full Tilt Poker funds began to hit U.S. players' accounts. (The latest update last month shows 94 percent of petitions have been paid out.) A few months later in June came news that Daniel Tzvetkoff, the Australian payment-processor-turned-informant whose plea bargain in back in 2010 eventually led to the Black Friday indictment and civil complaint, had been sentenced to time served and $13 million in forfeitures. June also saw another big piece of online poker news, a development that could also be regarded a belated after-effect of Black Friday. 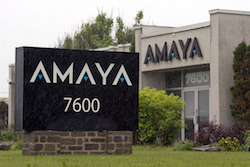 The Amaya Gaming Group Inc. reached an agreement to acquire the parent company of PokerStars and Full Tilt Poker for a whopping $4.9 billion, a move instantly making the Toronto-based group the world's largest publicly-traded online gaming company. For the rest of the world, the purchase would eventually mean changes to the sites' poker offerings and a new emphasis on casino games. But for the U.S., it opened the door to the possibility that PokerStars could one day return to America, removing the "bad actor" obstacle in states' online gambling legislation. Before the year was out, Ultimate Poker would shut down its operations in New Jersey in September, then leave Nevada in November, ending the fledgling site's struggle after just a year-and-a-half. Four years on from Black Friday, U.S. online poker players in the other 47 states still had few real-money options. Lock Poker proved an especially bad choice, going offline without notice in mid-April 2015 and taking players' funds with them. By contrast Bovada (formerly Bodog) continued to thrive, moving up to third position in online traffic according to PokerScout's best estimates in August 2015. PokerStars continued to lead the global market by a lot, with traffic and festivals like WCOOP and SCOOP returning to pre-Black Friday levels. And after much back-and-forthing the New Jersey Division of Gaming Enforcement at last granted Amaya a license in late September 2015. 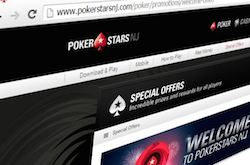 A little over three weeks shy of the fifth anniversary of having dealt its last hand of online poker in the U.S., PokerStars was back in the States with the launch of PokerStars NJ on March 21, 2016. The development has inspired some to think back to those days of the NAPT, wondering if perhaps a new, New Jersey-based tournament festival sponsored by PokerStars might be on the horizon. For those who lived through the "boom" and pre-Black Friday rise of online poker in the U.S., it's hard to believe how long ago it has been. Five years on, and online poker in the United States is still mostly relegated to modest options restricted to just three states. Serious U.S. players seeking to make a living playing online have long ago realized the need to go abroad to do so. Many of those who've stayed behind have moved over to the live realm, with many brick-and-mortar rooms thriving as a result. One imagines online poker in the U.S. should be much different five years from now. That said, it seems highly unlikely the difference will be anywhere near as stark as the difference between what online poker in the U.S. was before April 15, 2011, and what it became even before that day had ended.